*Reserve early to ensure space. DATES: Classes start toward the beginning of every month. Please inquire about exact dates by stating the month that interests you. 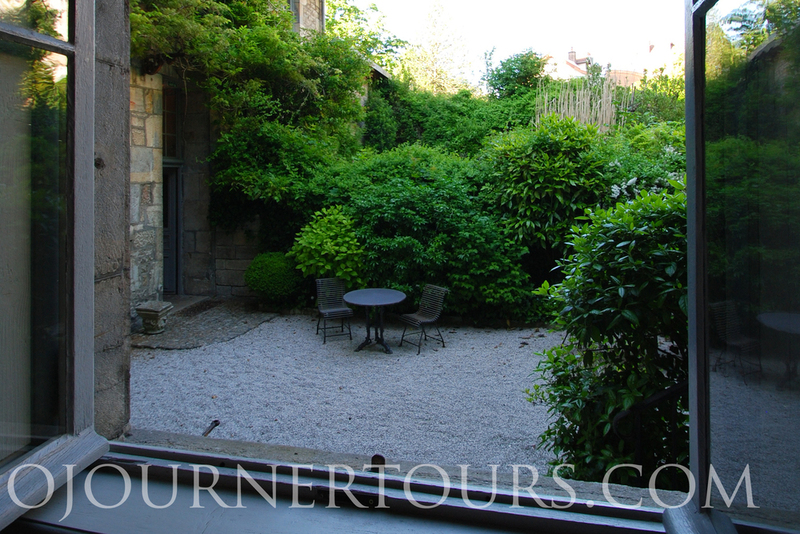 The inner courtyard at the residence Charles Quint where you will stay while studying French in Besancon. 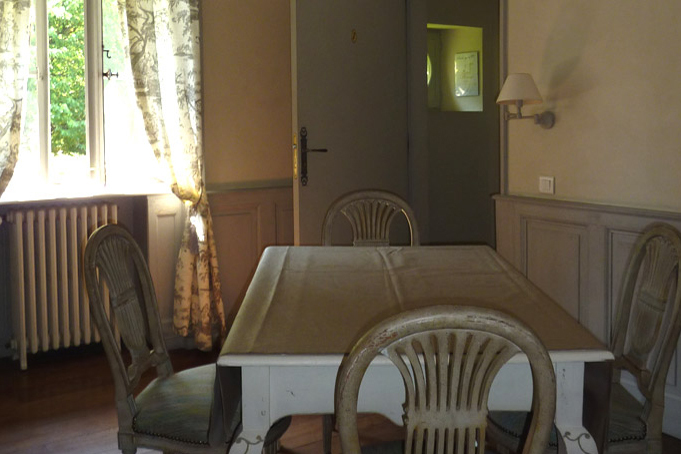 A suite in the Charles Quints Residence where you will stay while studying French in Besancon. 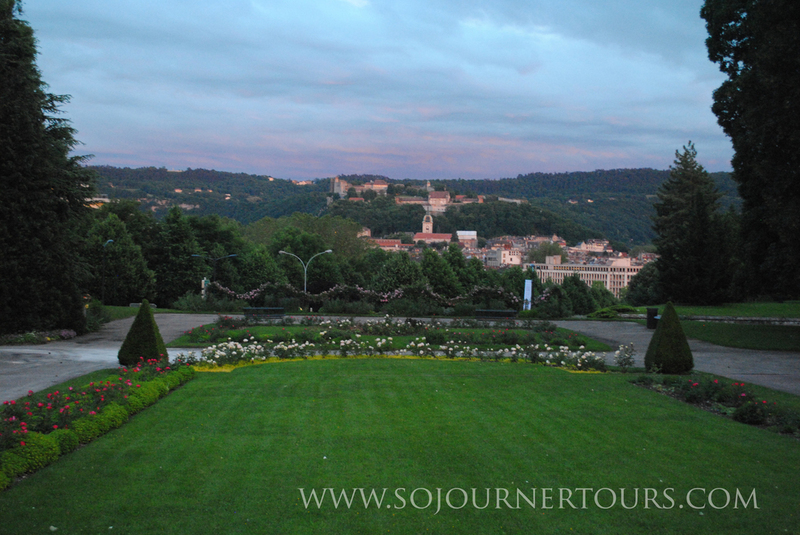 While studying French in Besancon with Sojourner Tours, you will stay in a suite at the Charles Quints Residence. The contemporary building in the background is the C.L.A. 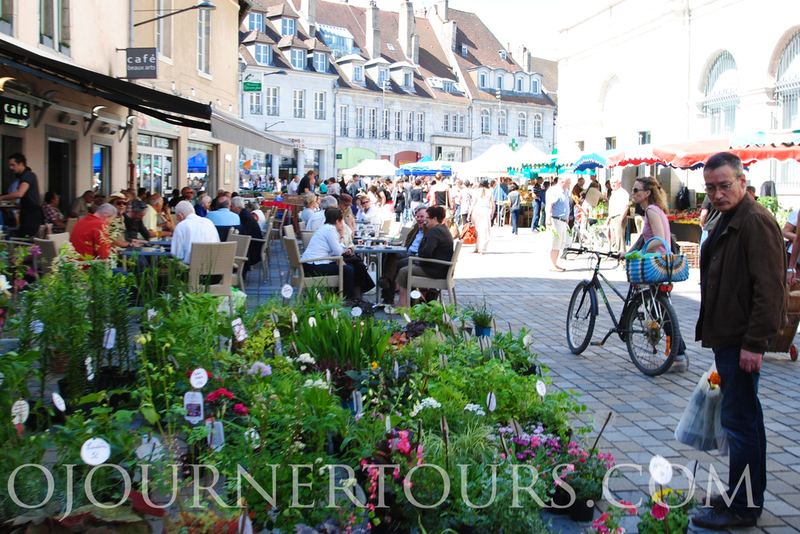 where you will take intensive French classes will immersing yourself in the French langauge with Sojourner Tours. You'll be studying in the light and spacious C.L.A. 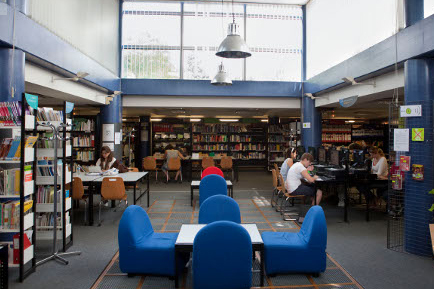 which has a well stocked reference library and small computer lab. You'll be studying with highly qualified instructors and other students from around the world in the light and spacious C.L.A. 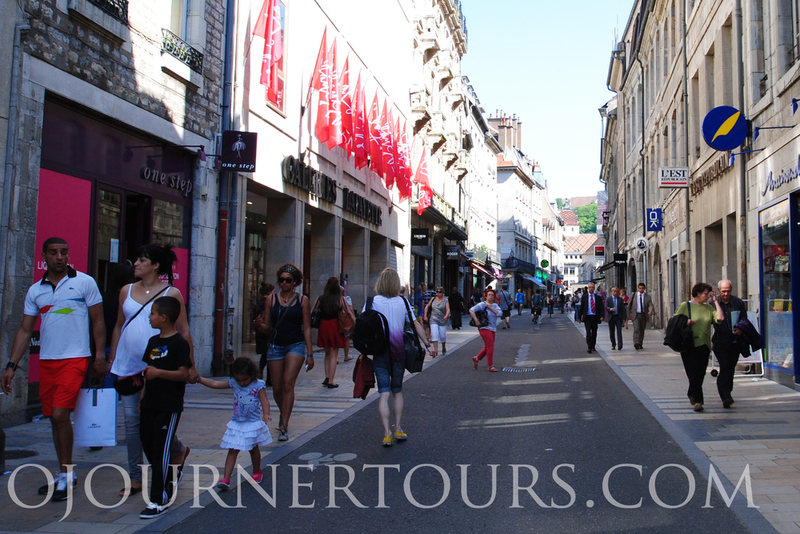 While sojourning in Besancon you may enjoy using the new tramway to explore. 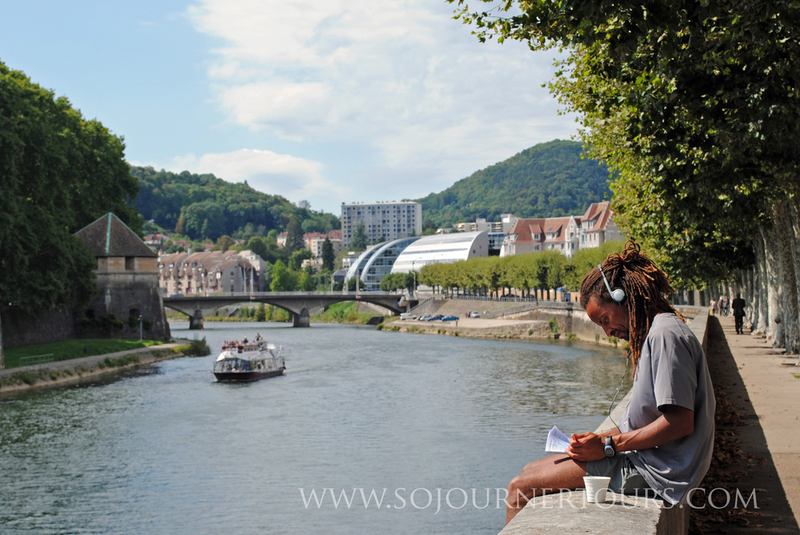 Live like a local while learning French. You'll shop in markets, enjoy terraces. 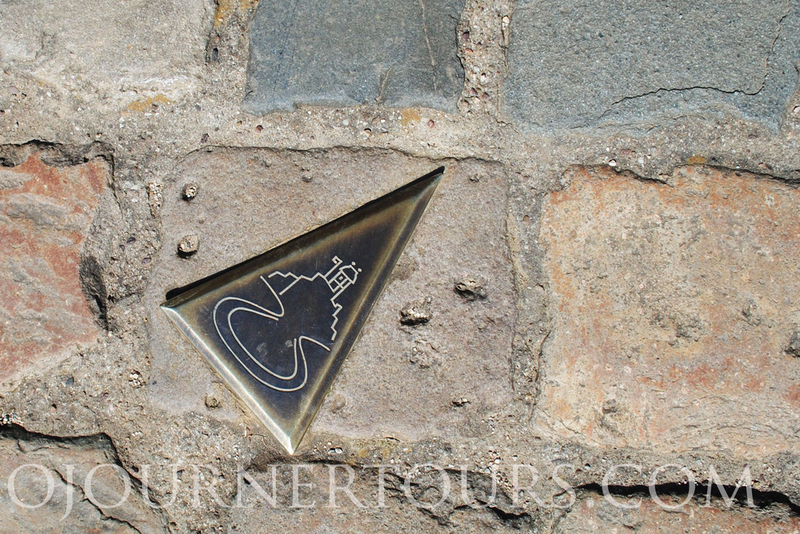 Sojourner Tours. Live like a local while studying French. You'll shop in the local covered market. 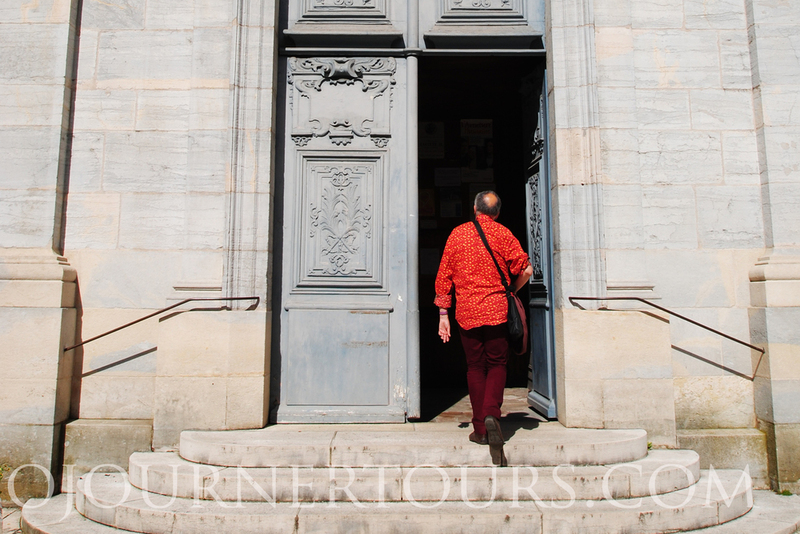 Live like a local while you are learning French. Shop in the local covered market. Eat like a local. 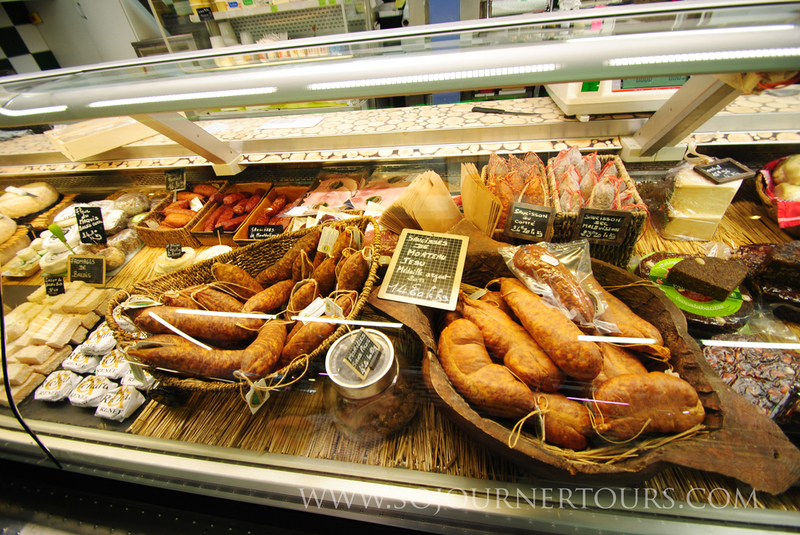 Discover the special wines, wide range of cheeses and smoked meats produced in the region. Live like a local. 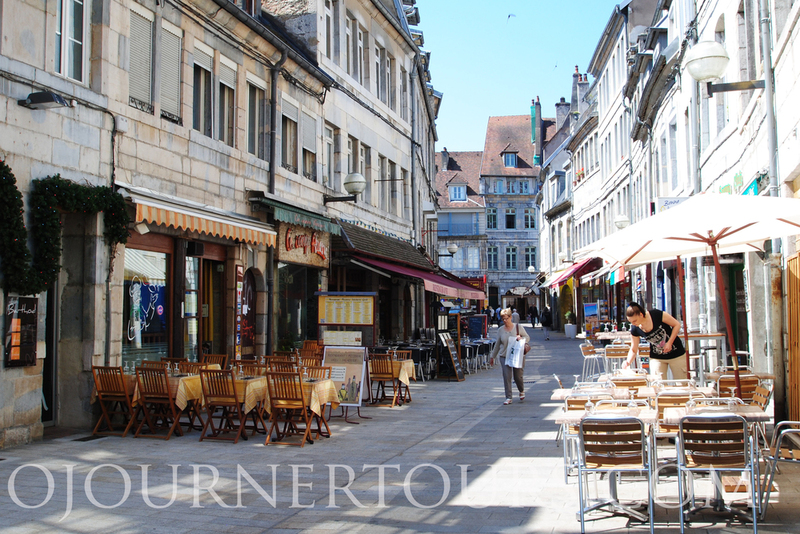 On beautiful days, restaurants set out terraces because locals like to eat in the fresh air. You'll have plenty of time for window shopping and browsing in boutiques. Relax like a local. The city is dotted with cafes and outdoor terraces. Live like a local during your free time. Stroll along the riverside path to the riverbank park where the locals enjoy sunning themselves, picnicking or watching the birds. The citadell is perched in the distance. You'll have plenty of time to explore. 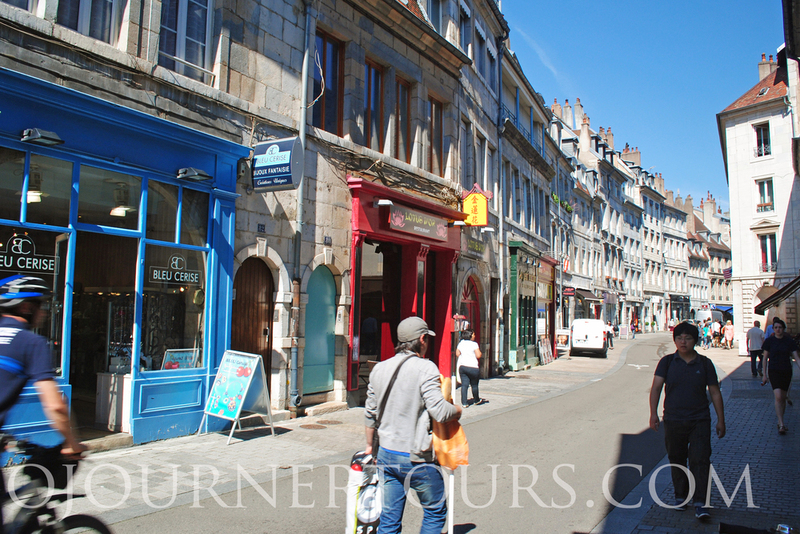 Stroll around town, hike one of the neighboring hills, hop a train on the week-end to a neighboring city. Relax like a local. Try one of the region's wines at a bar. This region is known for it's beautiful natural setting, you may want to trying hiking, biking or canoeing while there. Shop like a local. 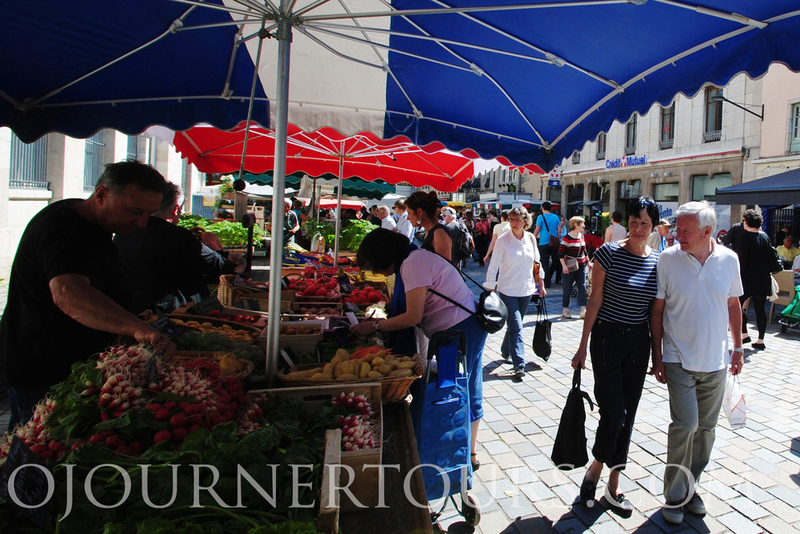 Twice a week you'll be able to shop for fresh local produce at the outdoor market. Move like a local. The city is equipped with rental bikes that you can use to ride around town. Get to know the city. 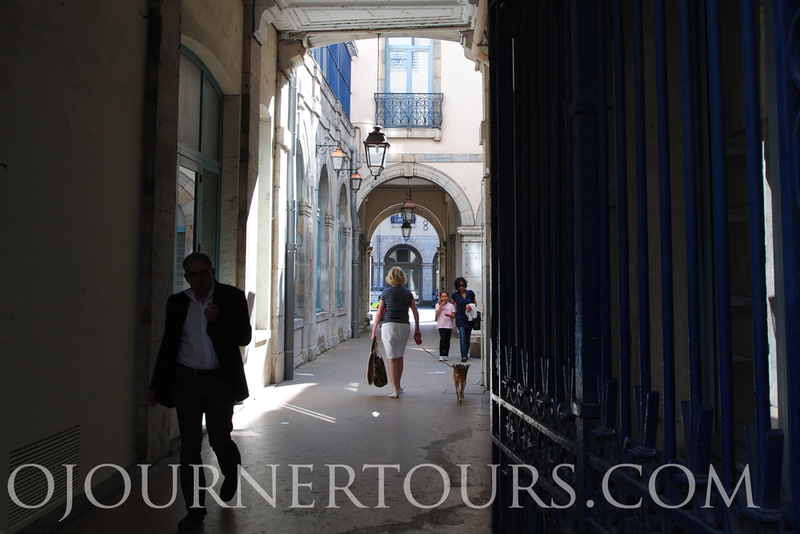 Wander down back passages, explore the parks and hidden courtyards. Enjoy "life's little pleasures" and become a "regular". When you buy your daily bread at the same bakery, the baker will come to recognize you as a loyal patron and start small exchanges with you. Become a regular at a takeout restaurant or newspaper stand where locals buy everything from periodicals to tobacco and stamps. The city has three marked walking trails to help you explore on foot. Peek in the churches... you never know where you'll find a master piece by a famous artist! 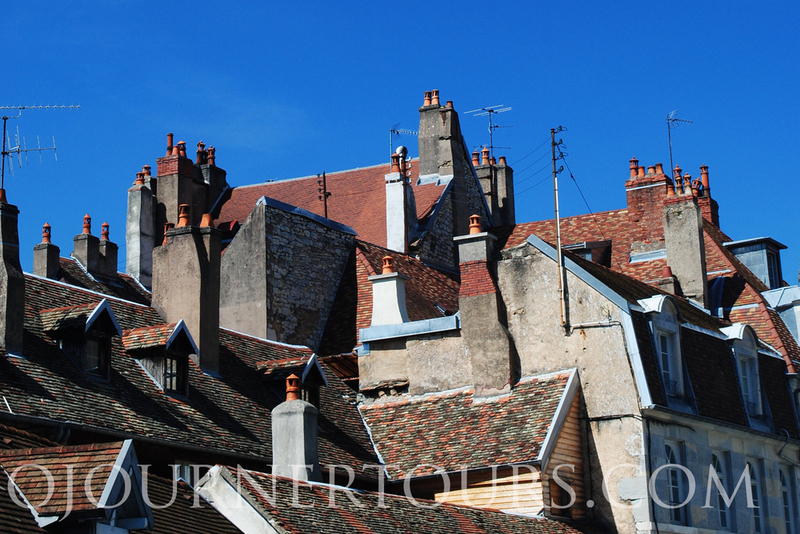 Climb up the neighboring hills to get a bird's eye view of the red tiled roofs with their "bishop's hat" chimneys. 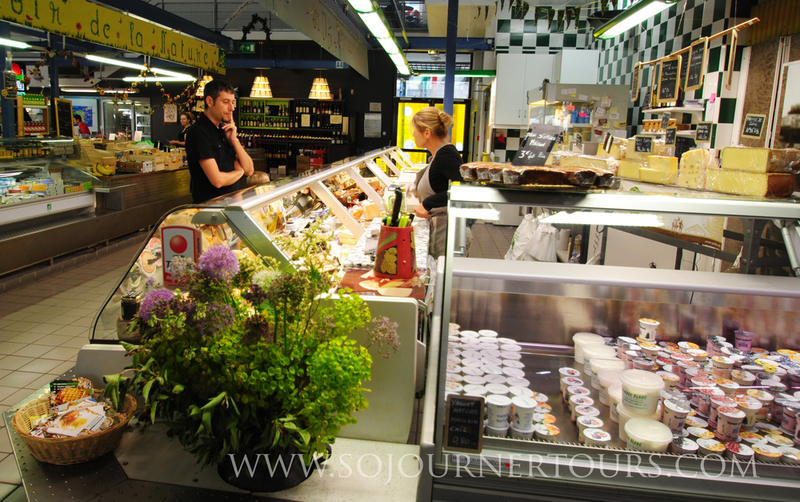 You want to experience what it is like to live in a typical French city, do your own shopping at the market and explore at your own pace while learning or perfecting your French: this is your sojourn. 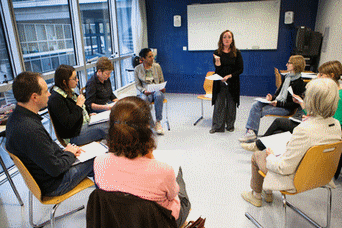 Whether you are a complete beginner or already advanced you will quickly improve your French through an intensive program at one of France's first schools devoted primarily to the high quality instruction of French as a foreign language, the C.L.A.. Set in a region far from the English speaking tourist throngs and where the French speak at a naturally slow rhythm, Besancon is the ideal place to learn French. 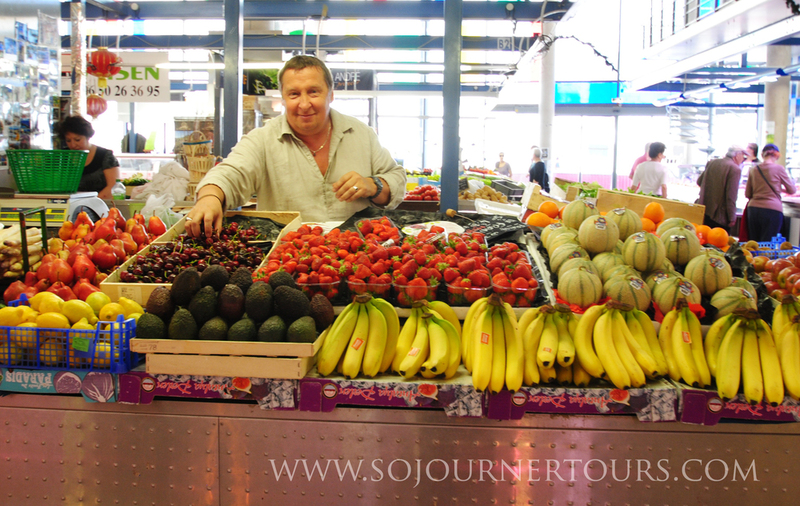 Sojourner Tours will take the stress out of setting up your stay by taking care of the paper work at the school, arranging your accommodation, and providing a city orientation and a daytrip excursion to discover some of the best spots in the region. 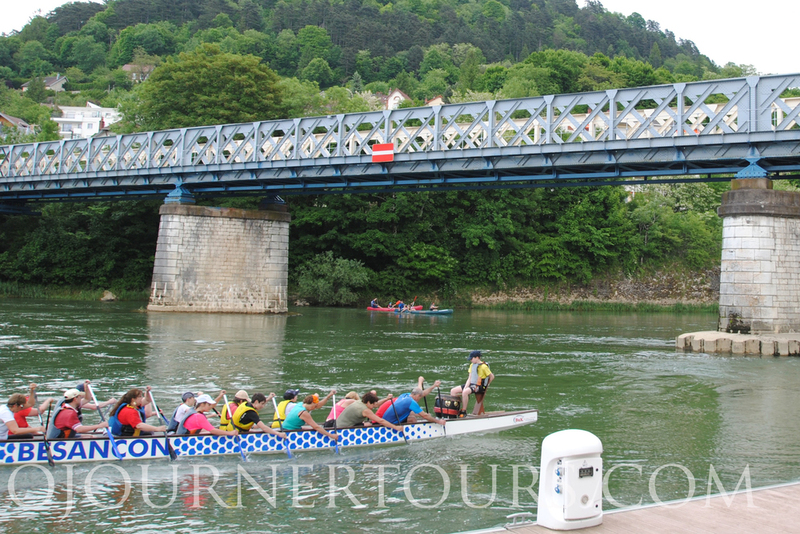 You'll arrange your own transportation to Besancon. If you are arriving by train, a Sojourner Tours representative will meet you at the station to help you transport your baggage to your temporary home. 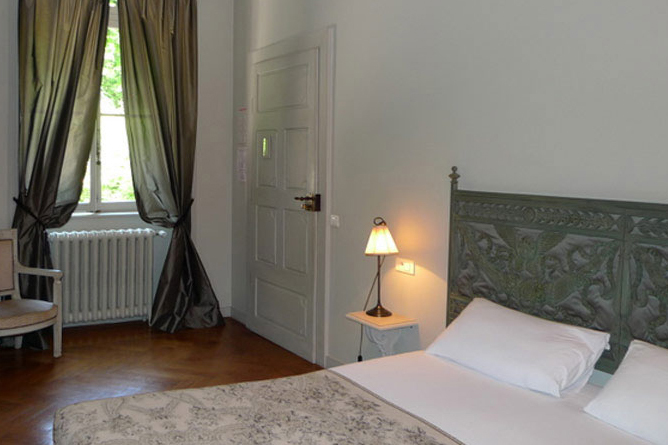 You'll be staying in a peaceful corner of the historic city center in your own private suite furnished with antiques in a historic manor house with a quiet central courtyard at the Charles Quint. Your accommodations are perfectly located so that you can easily enjoy shopping, restaurants and the nightlife and then return to your quiet haven to study and relax. In your suite, you'll have a kitchenette and dining area where you can prepare and eat your own meals. You 'll also have access to the courtyard where you may enjoy eating or studying on a sunny day. You'll have plenty of time to get into the local rhythm of life, strolling the cobble stoned streets, sitting at a cafe, checking out the nightlife, taking in a show or concert. You'll be staying right at the foot of the Citadel which is a UNESCO World Heritage Site making it easy to climb up the hill for sweeping views over the city or a day spent sightseeing inside. You'll also be staying right behind one of the city's most significant cathedrals which houses a local wonder called the astronomical clock. An orientation to explain essentials, such as services and the tram, bike rental and bus systems. 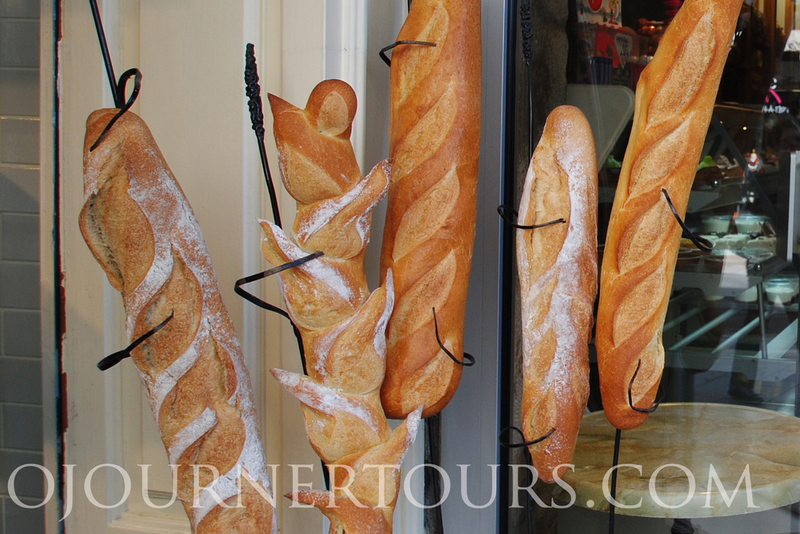 A tour of the city featuring the covered and open air market locations, the city's best cheese vendors & wine merchants, the best neighborhood bakery and an inexpensive general grocery store. Your guide will point out favorite cafes, bars & restaurants as well as the cinema, theater, art museum, popular parks, and more. Once you are settled into your accommodations and classes, you will really begin living like a local. 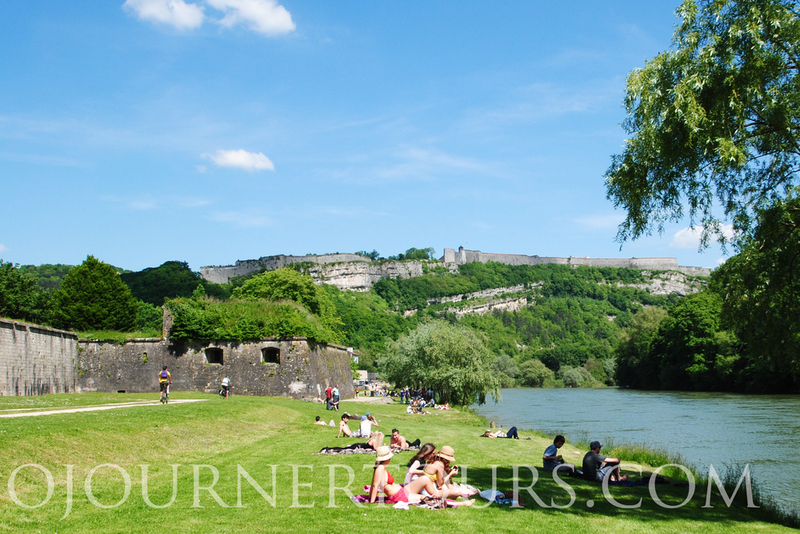 You can relax knowing that you can contact Sojourner Tours if you have questions or need help as you shape your own French adventure. You'll be free to organize your time and plan your own meals. You'll want maximum freedom to eat what you want, make your own choices, explore where you want to go... so these things are not included in the price: travel, daily expenses including food and beverages, sightseeing or souvenirs. If you do not already have them, you will also need to get your own private health, travel and baggage insurance as they are not included in the cost of the tour. 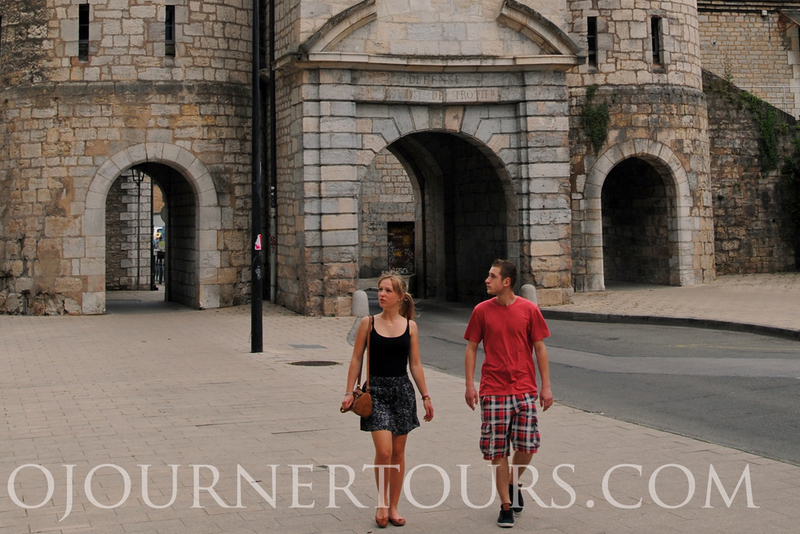 You may also want to discover the beautiful region surrounding the city. This region is famous throughout Europe for its beautiful natural settings. If you'd like to spend a week hiking along waterfalls, kayaking through villages in addition to wine tasting in the wine country, dining in gastronomic restaurants and visiting exceptional historic sites you can add a week on your stay for the Best Kept Secrets of the French-Swiss Borderland Sojourn, which also includes a day trip to a lakeside castle in Switzerland. The region is also famous for cheese and wine. If you'd like to spend a week learning about the local cheese by visiting the mountaintop cheese making sites, wine tasting in the local wine country and sipping the famous pinot noirs in neighboring Bourgogne, taking a leisurely bike ride and touring a local castle... You can add a week on your stay for the Off-the-Beaten-Path in the French-Swiss Borderland Sojourn.